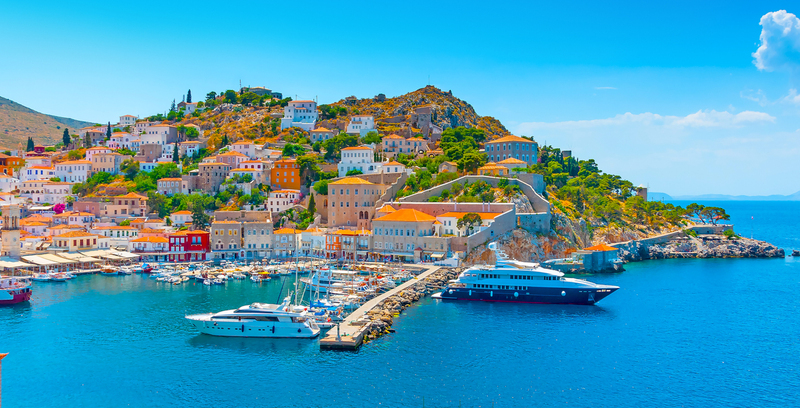 The Greek Islands are synonymous with luxury and elegance and conjure up romantic images of whitewashed seaside villages, sundrenched hillsides and faded ancient ruins. 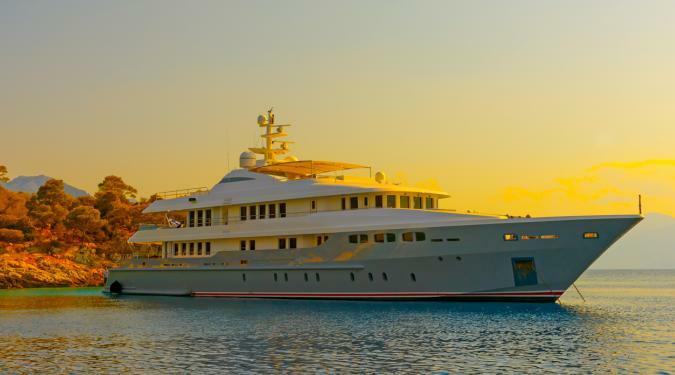 The playground of the rich and famous for centuries, these southern Mediterranean isles offer a phenomenal Greek Charter Yacht experience. 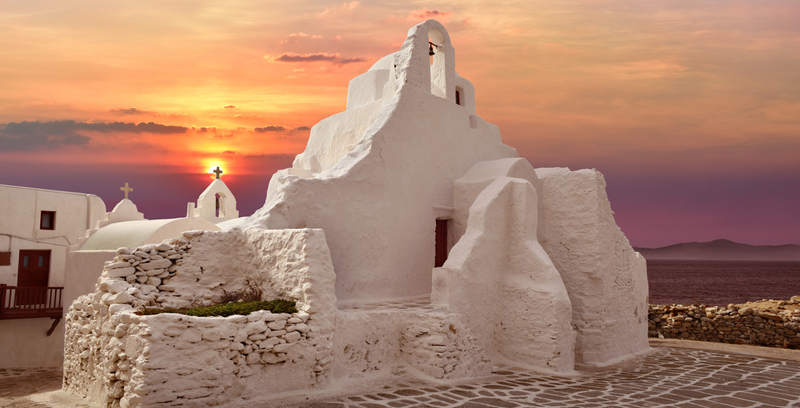 Yet along with famous iconic scenes, there’s a side to the Greek Islands many visitors never discover. 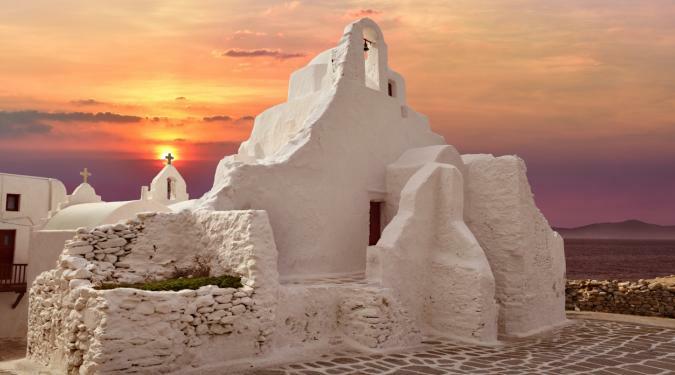 While busy mingling with the hip and trendy in Mykonos, or sharing sundowners on crowded terraces in Santorini, many tend to overlook the more authentic side of the Greek Islands, where beaches are deserted, temples barely visited and villages utterly rustic. 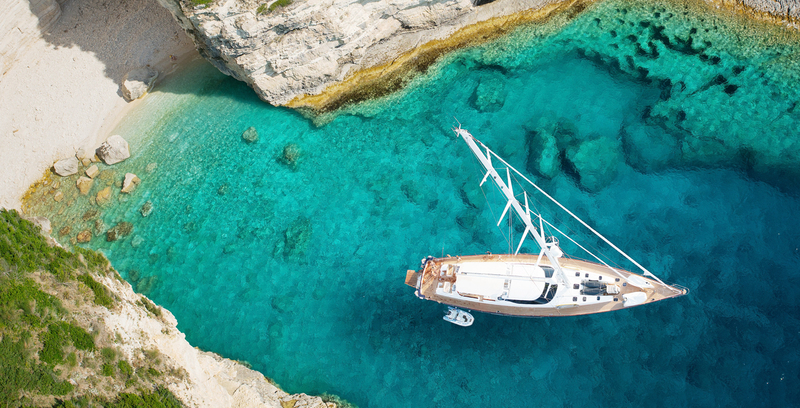 On a Greek Yacht Charter, you’ll have the enviable chance of doing, seeing and exploring what you want...and avoiding what you don’t. 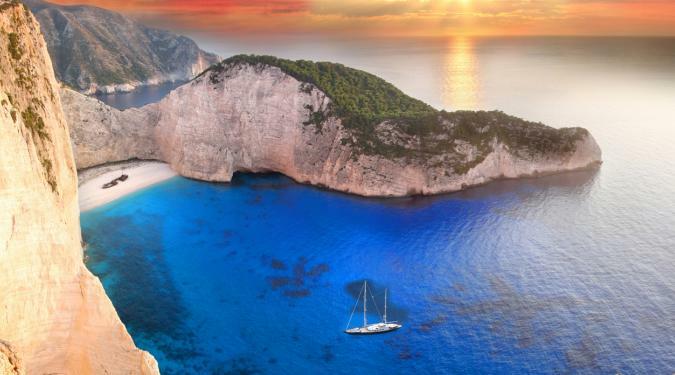 In one of the world’s premier tourist destination, finding a hidden cove, beach, village or ancient ruin, seemingly forgotten by time, is ever so easy. 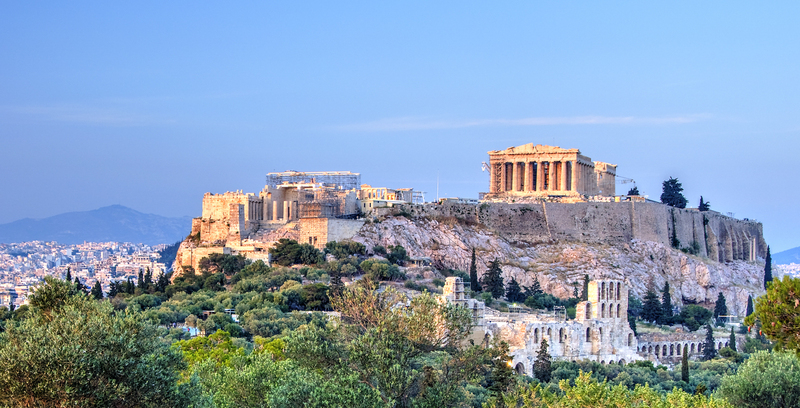 Along with immense natural beauty and history aplenty, Greece is also renowned for its hospitable and warm people. 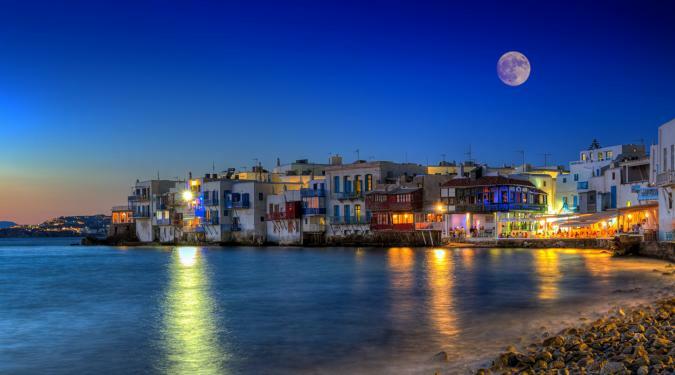 Loud and proud, Greeks are formidable hosts who love nothing more than to showcase and share the richness of their homeland. 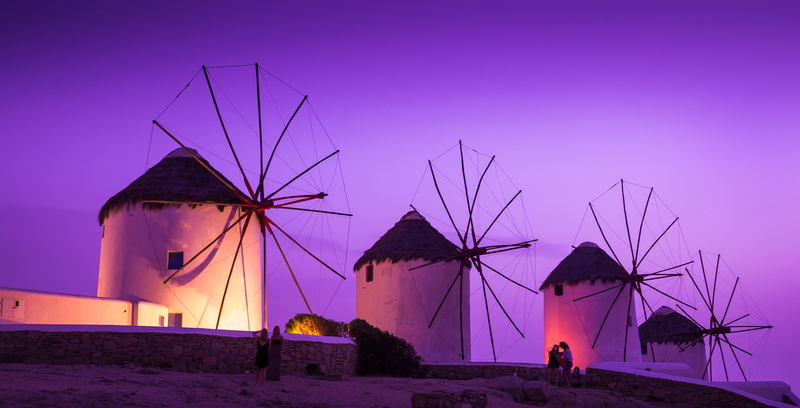 Mingle with locals and be captivated by their rugged charms. 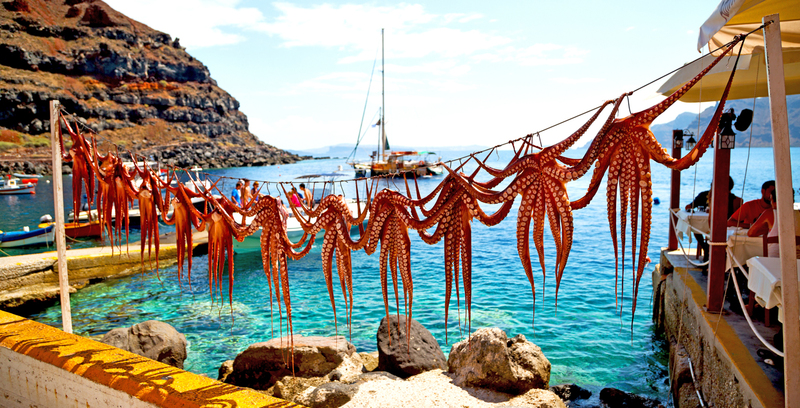 Above all else, the Greek Islands are home to some of the friendliest people you’ll ever meet. 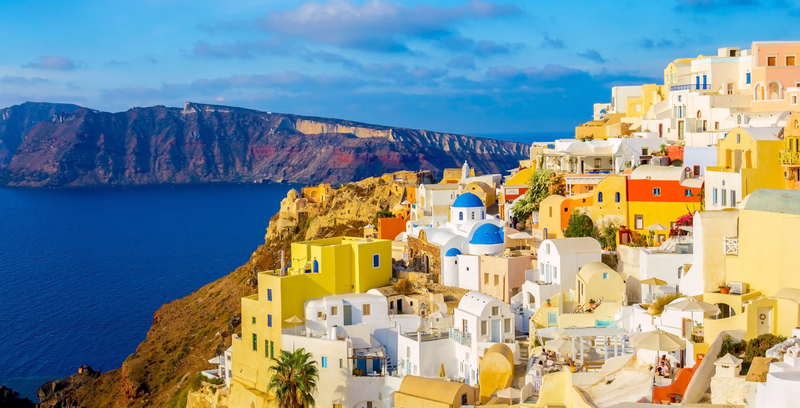 Between sips of ouzo, tastes of grilled sardines and shared fresh figs picked straight from the trees, the language and cultural barriers will dissolve into oblivion. 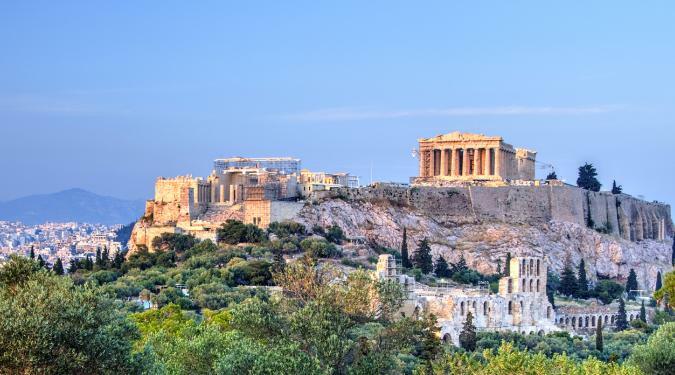 You have not discovered the true meaning of hospitality until you’ve fallen under the charming spell of the Greek people and this is, perhaps, the most unforgettable experience of all. 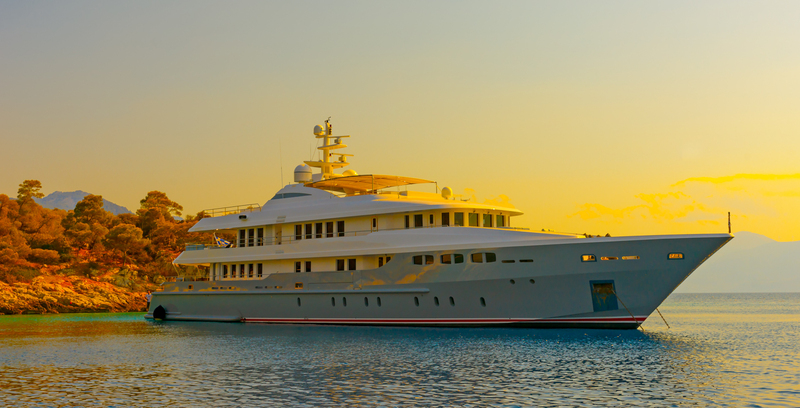 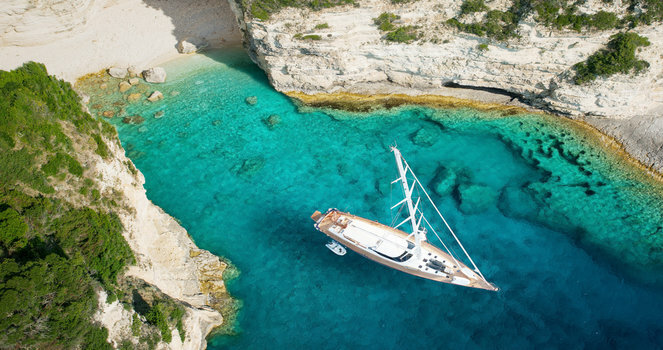 With their ease of access, variety of attractions, splendid sailing routes, amiable hosts and mouthwatering food, you’d be hard-pressed to find a more rewarding yachting destination, than the Greek Islands. 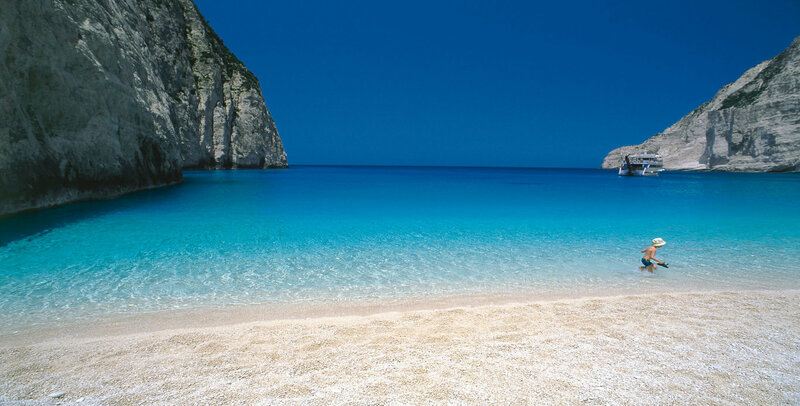 Greece is home to an estimated 6000 islands in the Aegean and Ionian seas, comprising over 4500 miles (7200 km) of stunning coastline. 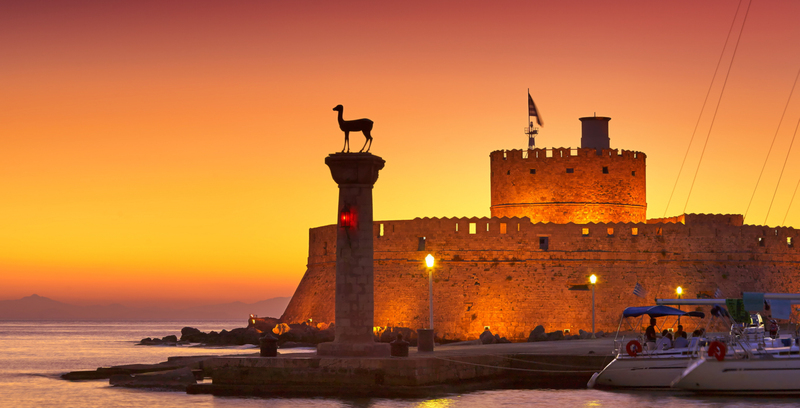 A country quite literally carved by the seas, Greece owes much of its cultural heritage and history to its innumerable islands. 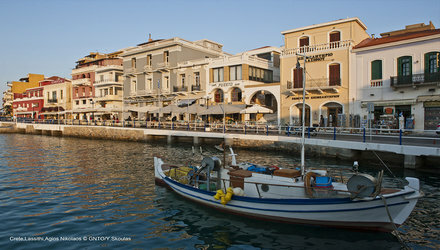 Among all the country’s archipelagos, there are almost 300 inhabited islands, each boasting its own unique characteristics, cuisine and landscape. 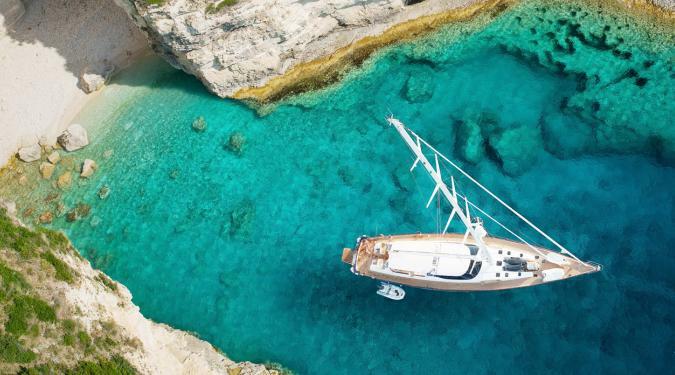 On a Greece Yacht Charter escapade, you’ll have the chance to experience the best of the nature, culture and history of this enticing country, so whether you’re chasing the Greek Island of the movie sets, or its rugged wild cousin, you’ll find it all here. 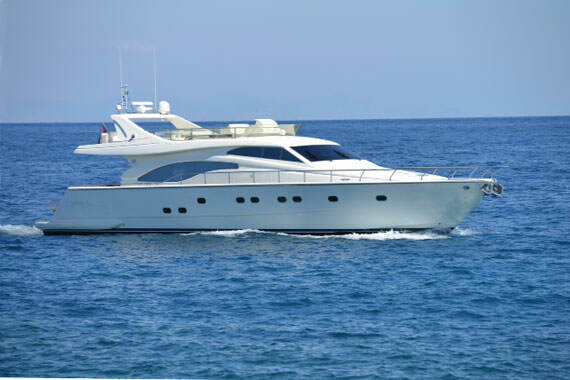 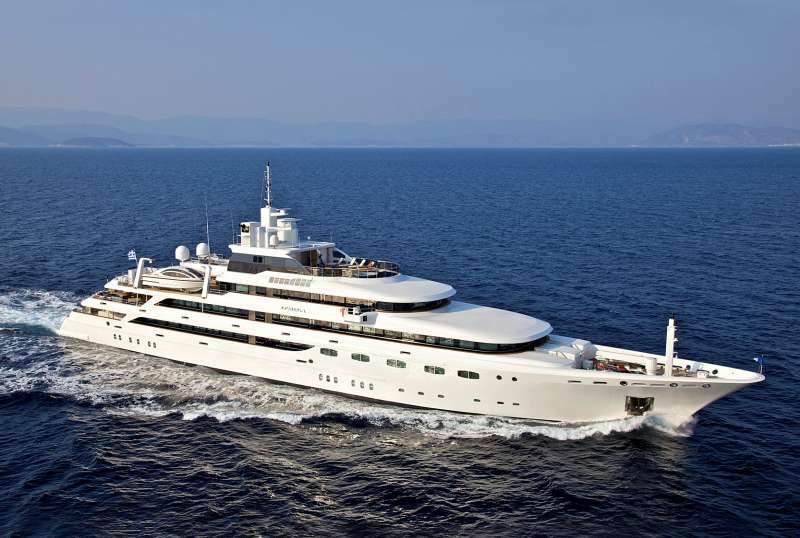 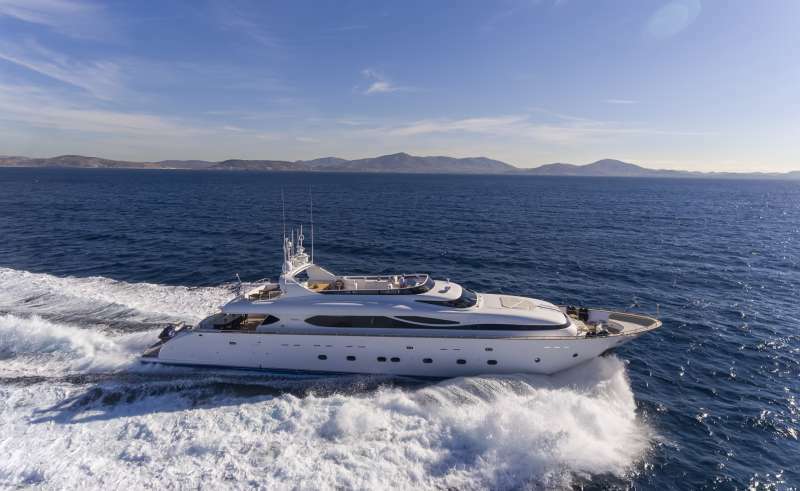 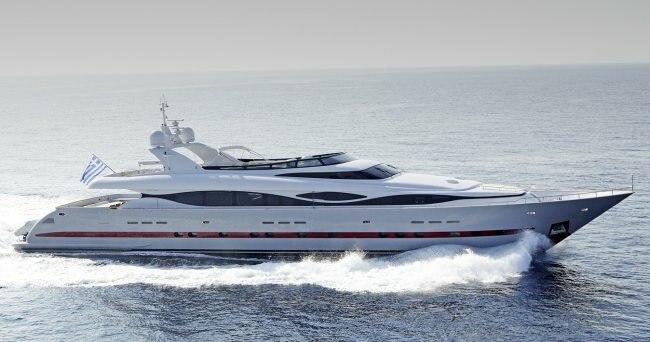 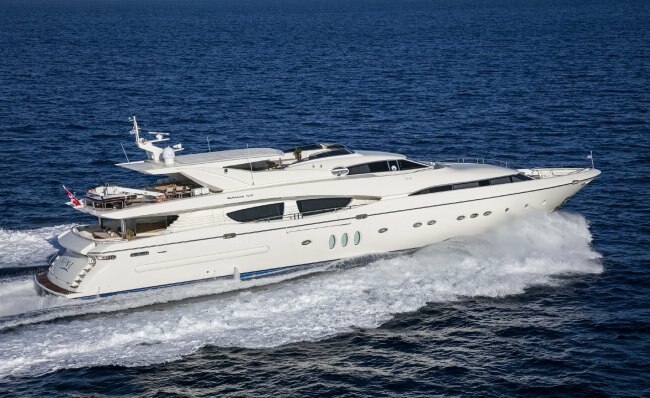 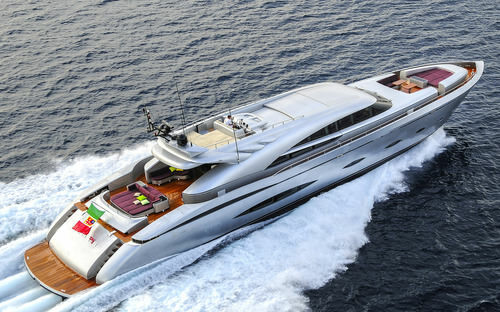 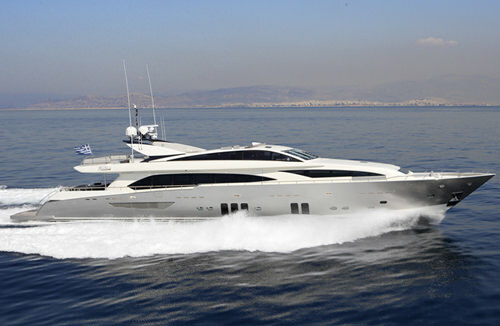 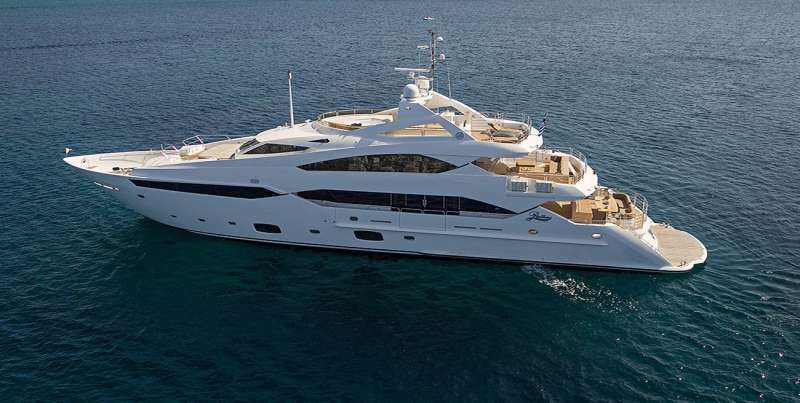 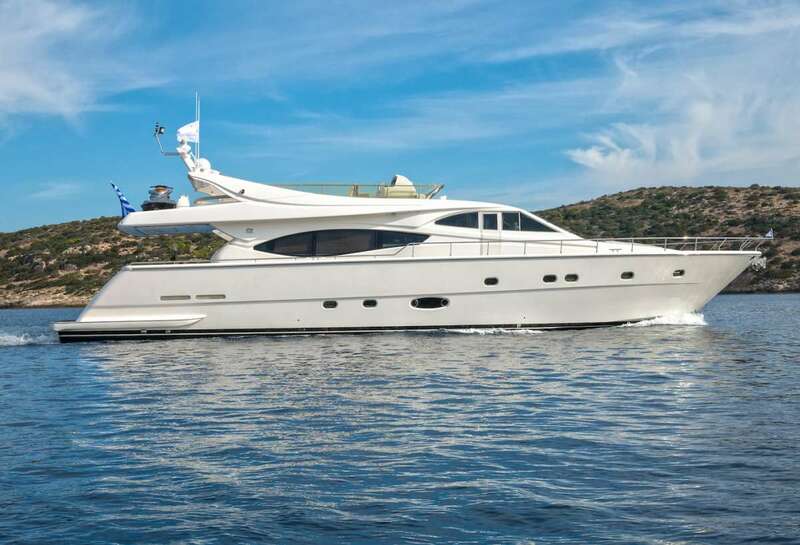 The most popular Greece Yacht Charter itinerary is the Cyclades chain of islands that stretch to the southeast of Athens. 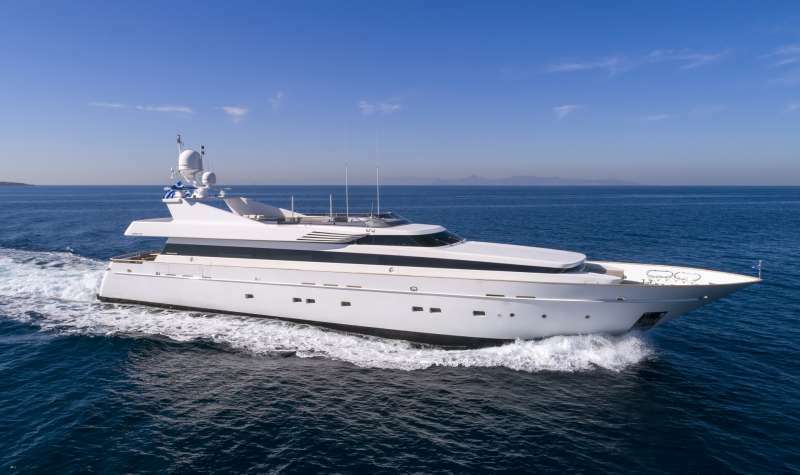 Home to world-famous Mykonos, Santorini and Delos, the Cyclades offer a most iconic Greece yachting experience. 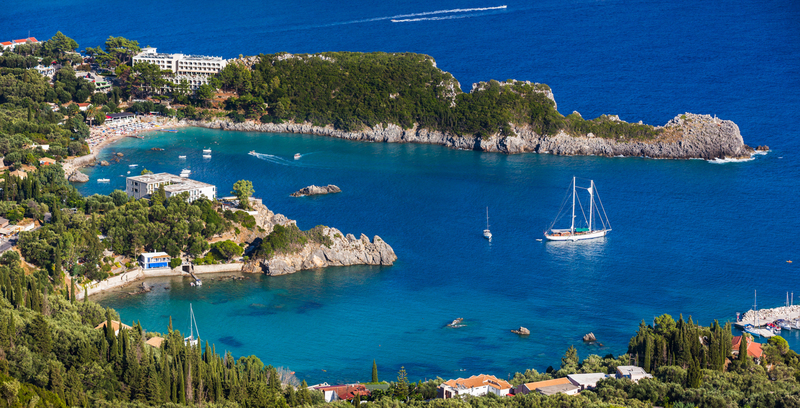 Dreaming of those picture-perfect whitewashed villages tumbling into aquamarine waters? 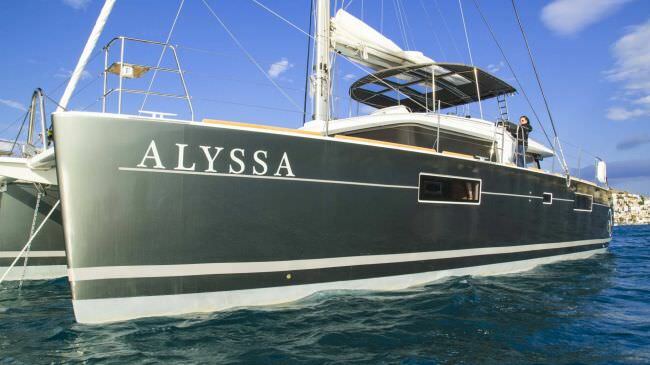 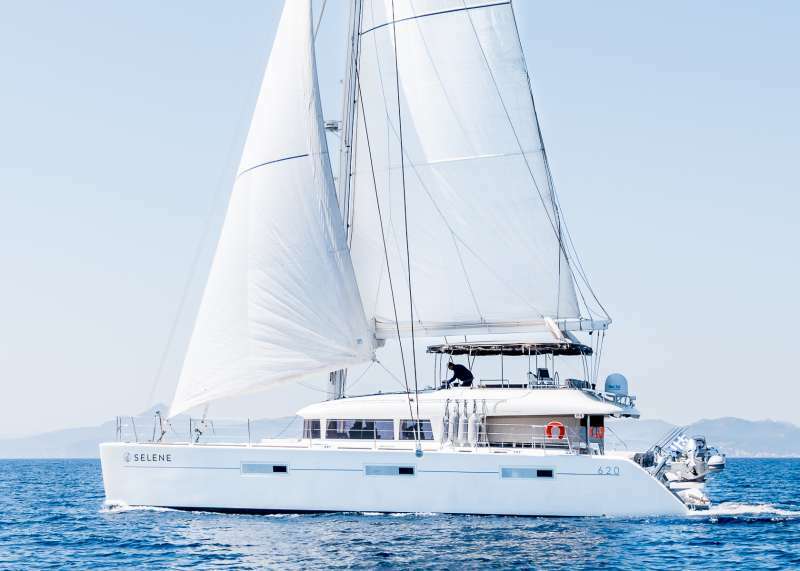 Then the Cyclades is where you’ll want to sail. 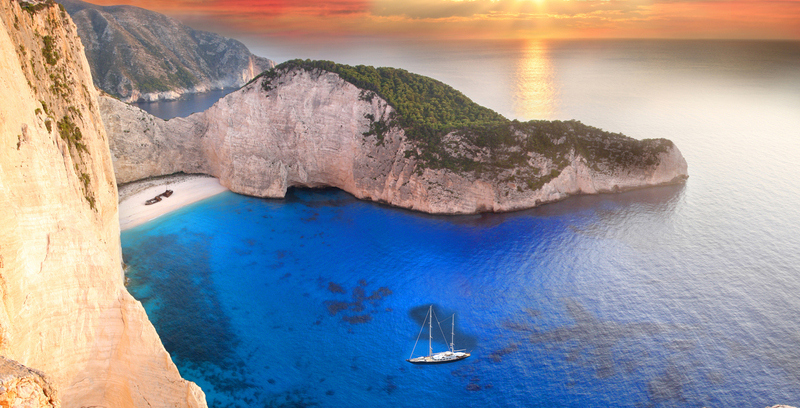 Explore ancient Byzantine castles, commune with mystical gods, soak up the rays on postcard-perfect beaches and party like a rock star. 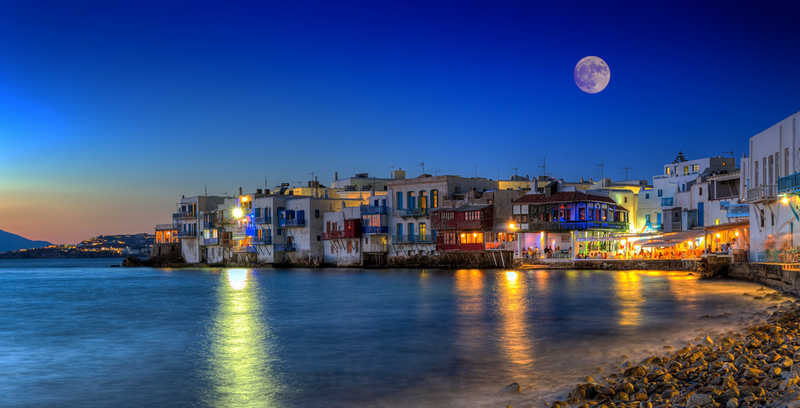 The Cyclades offers it all on a sparkling platter. 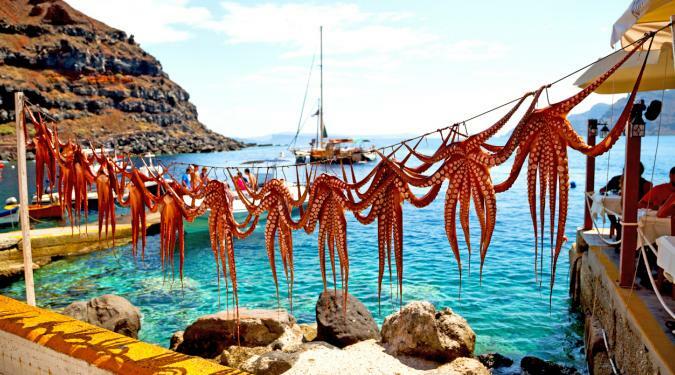 Yet don’t dismiss the Cyclades as uniformly touristy. 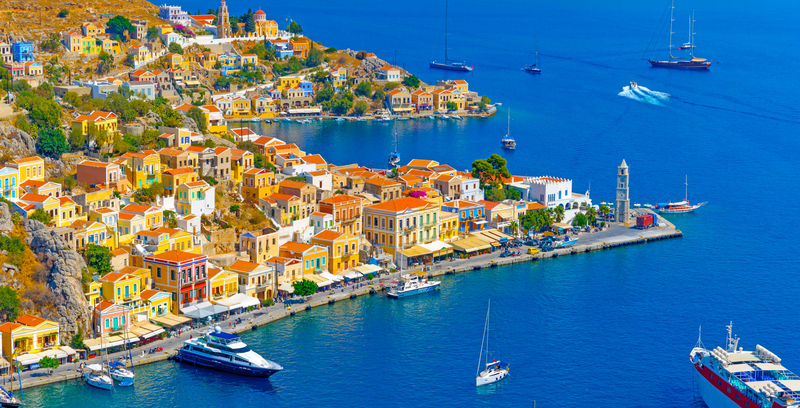 As an ancient mystical god no doubt once said: not all Greek islands were created equal. 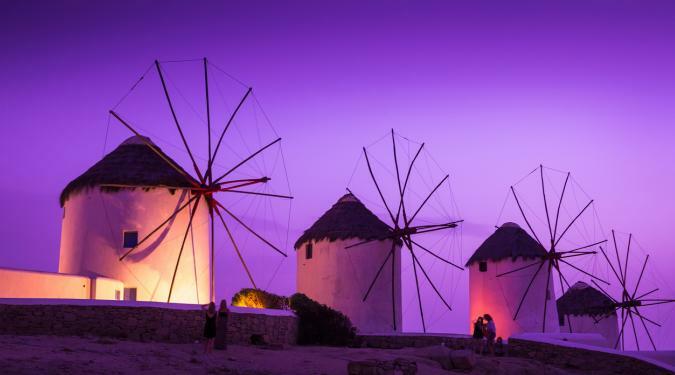 There are still plenty of unknown and less visited gems in the Cyclades, boasting dramatic landscapes, hidden hot springs and ever-smiley locals, so if you wish for variety, you’ll certainly find it here. 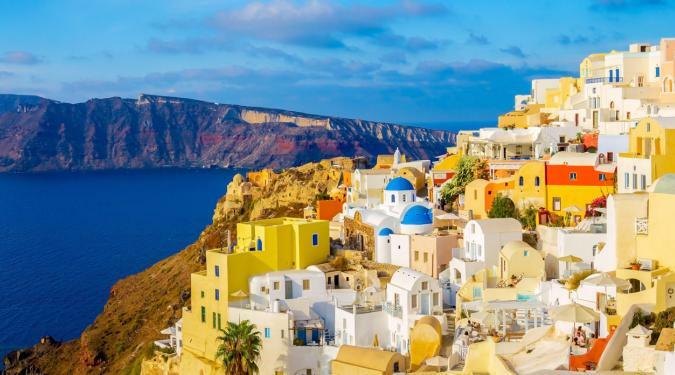 And besides, after you’ve trudged uphill to reach the peak of Mount Zeus to soak up that spectacular sunset (as you’ve been recommended to do, time and time again), you’ll finally understand why everyone, who comes to Greece, heads to the Cyclades. 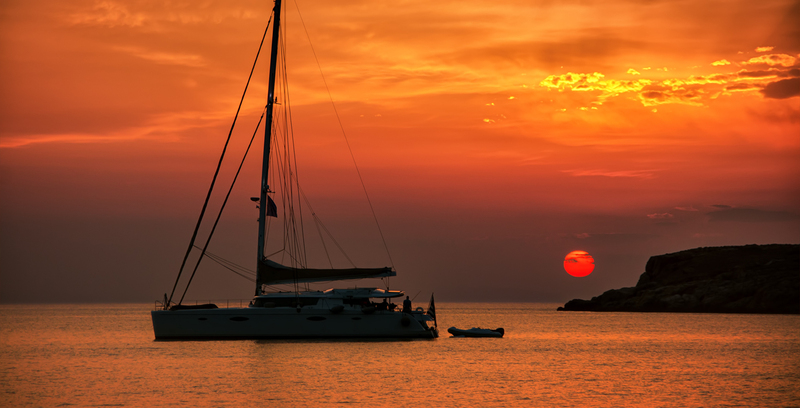 It’s just magic up here. 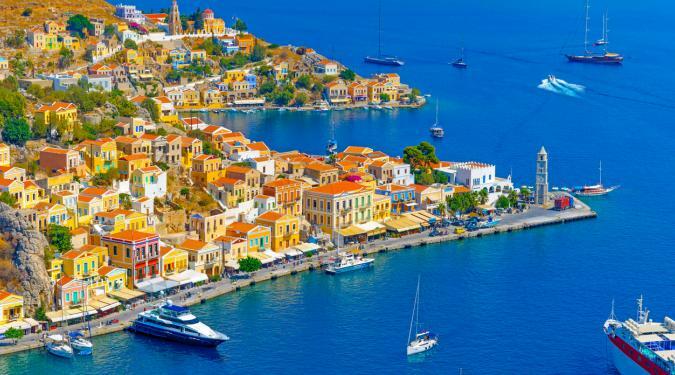 The Peloponnese peninsula, west of Athens, is known for its unspoiled anchorages, lush countryside, sleepy fishing villages, and vast array of islands. 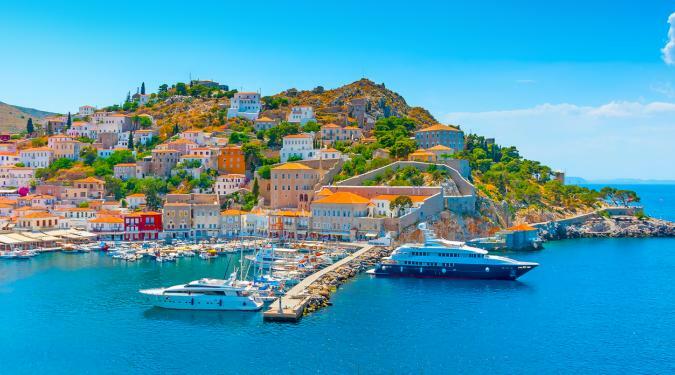 Often overlooked by foreign tourists, who tend to converge on more famous islands, the Peloponnese are ideal if you wish to include lots of off-shore excursions on your Greek Yacht Charter trip. 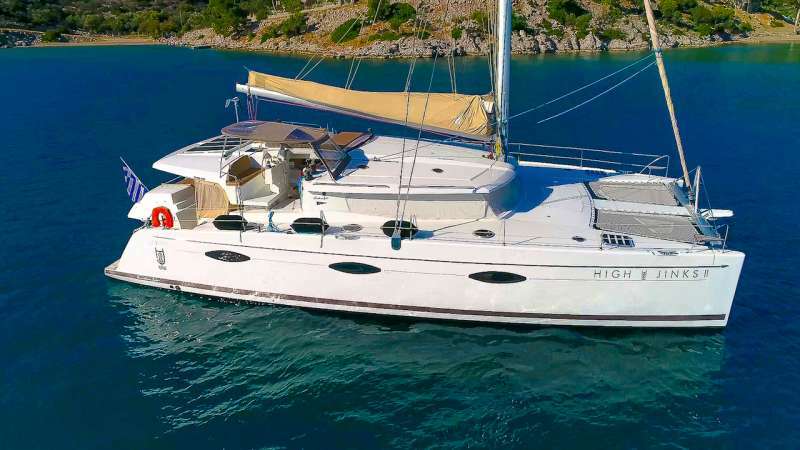 The vertiginous verdant mountain range which traverses the peninsula makes a circumnavigation of the Peloponnese, a visual feast like no other. 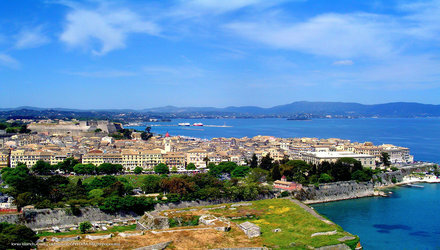 The interior of the mainland is dramatic, breathtaking and brimming with outstanding historical sites. Party with the locals in one of the summer festivals held in the ancient theatre of Epidaurus, shop for rosemary-infused olive oil in über-picturesque Nafplion, barter for fresh sardines with fishermen in Astros, and channel your inner sun-goddess on the pristine beaches of Drepanos. 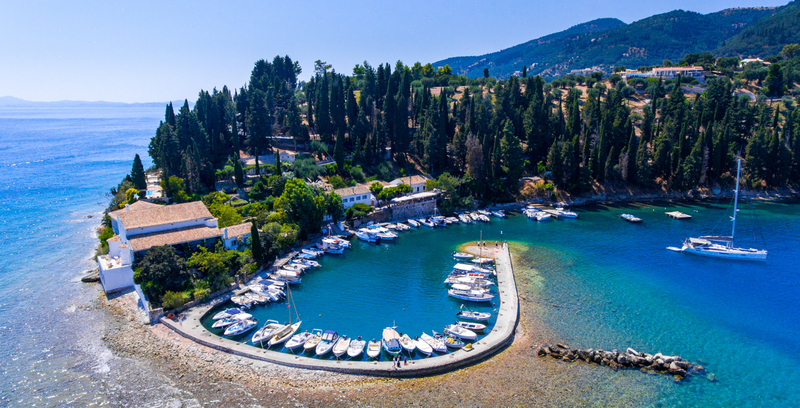 With a near-infinite number of charming bays along the coastline, jumping ship is a breeze almost anywhere on the Peloponnese peninsula. 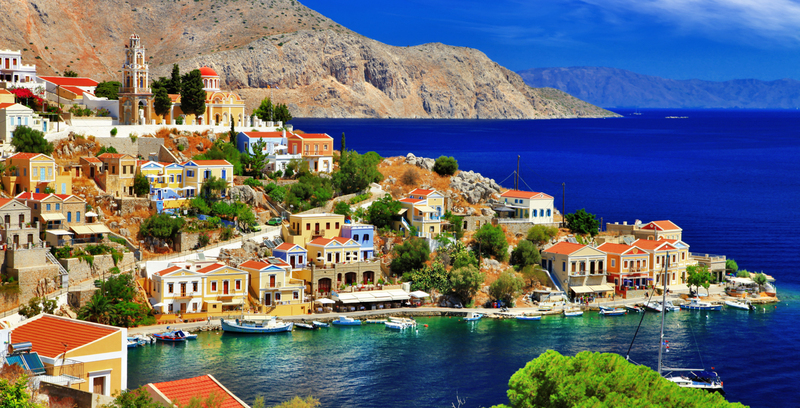 The Dodecanese is Greece’s most easterly group of islands, close to the Turkish border. 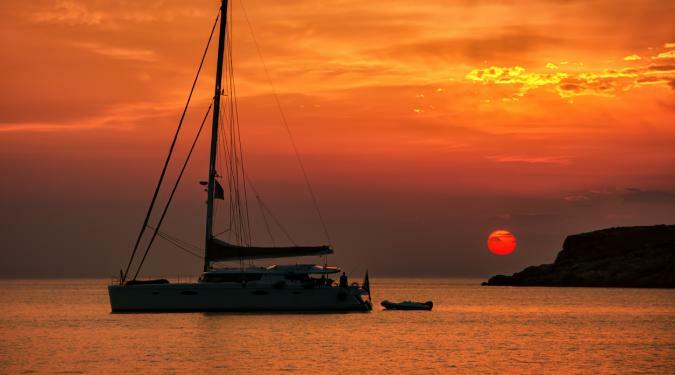 The most remote archipelago in the country, this is where you’ll witness island life as it has been for a thousand years. 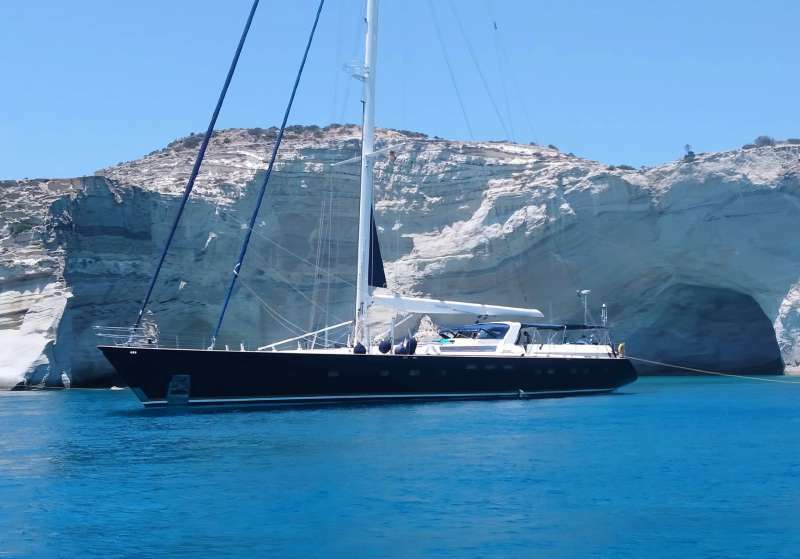 Renowned for being the sunniest islands in Greece, the Dodecanese enjoy superlative weather all year yet prevailing winds make them ideal for experienced sailors. 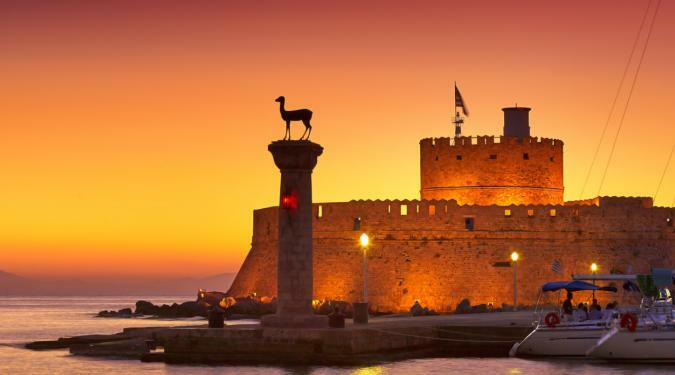 The historical richness of this cluster of isles is outstanding, and the many archaeological ruins, like the Acropolis of Lindos on Rhodes, have few rivals even on the mainland. 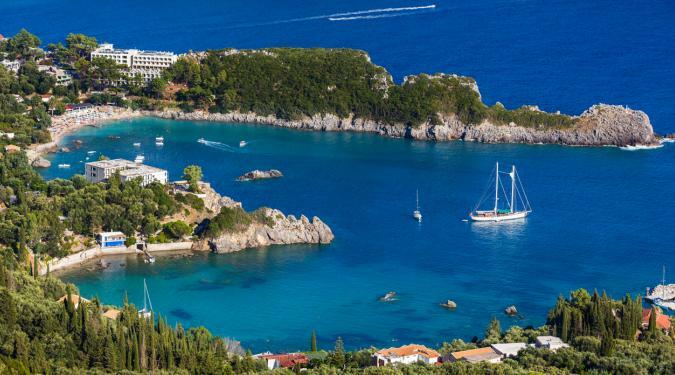 In total, the group consists the 14 main islands, the most famous of which are Kos, Rhodes and Symi, where the impossibly charming village of Panormitis boasts one taverna, one ancient monastery, and more peace and quiet than you could ever need. 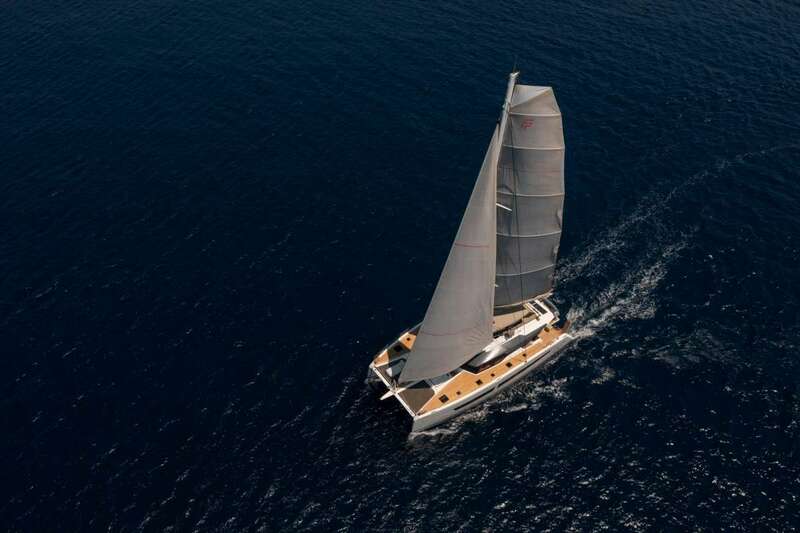 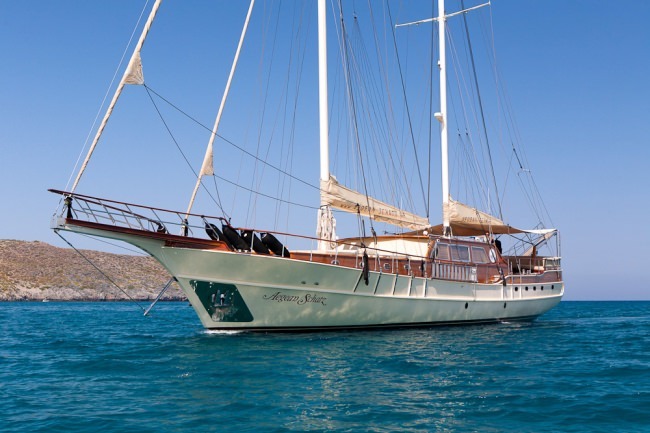 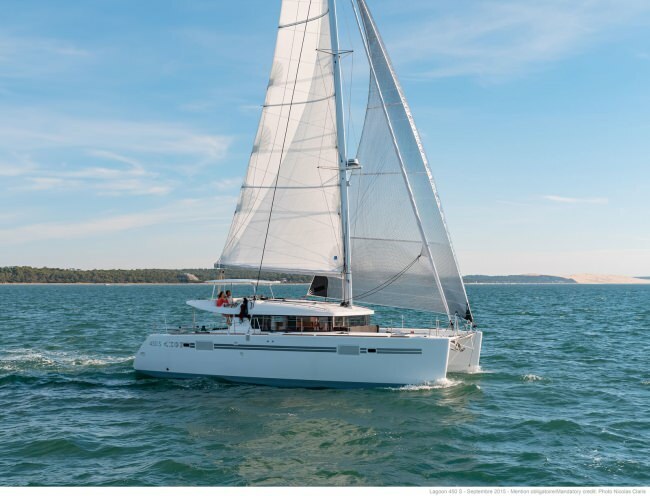 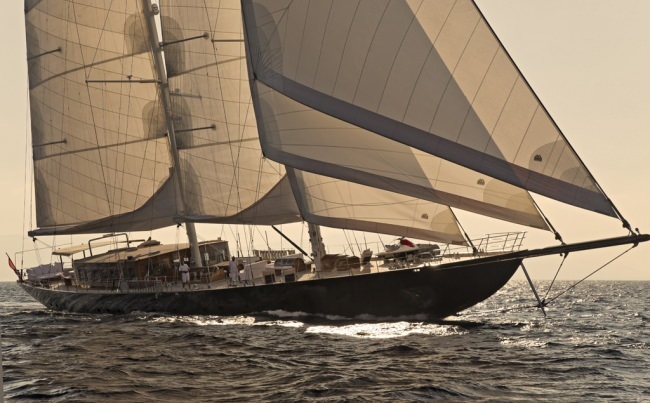 If you have some experience under your sails, are on a return charter to Greece and wish to experience something a little more unique, than heading straight east would be a marvelous idea. 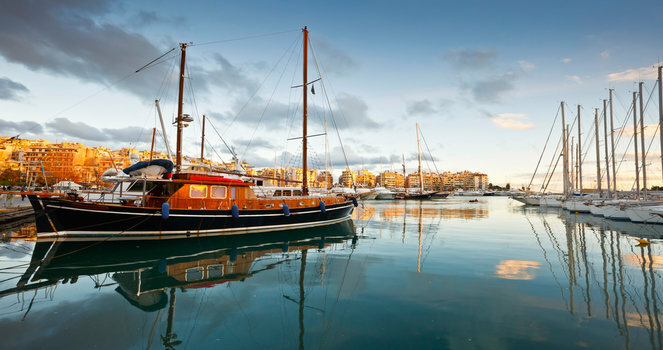 Your itinerary here can include some Turkish ports as well. 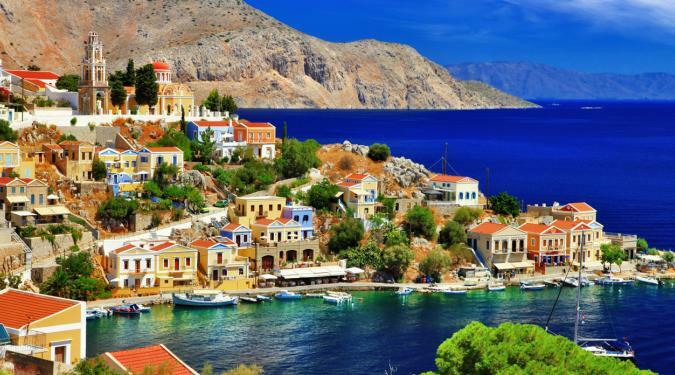 Greece offers so many itinerary choices, and each island has its own enchanting rhythm… like a siren’s song beckoning you ashore and instantly stealing your heart. 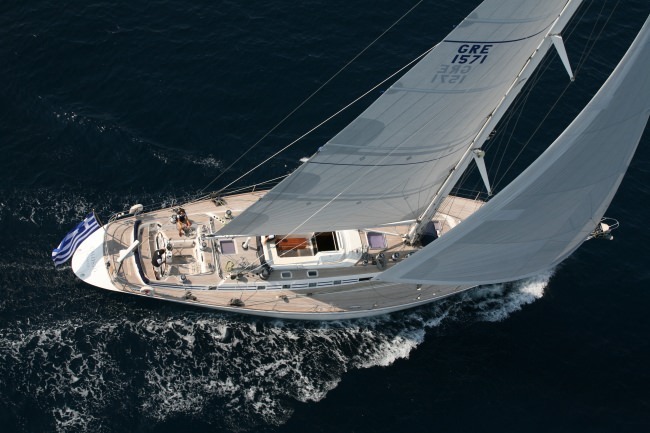 The allure of Greece has not paled with tourism, and you can discover it “your own way” on a private yacht charter. 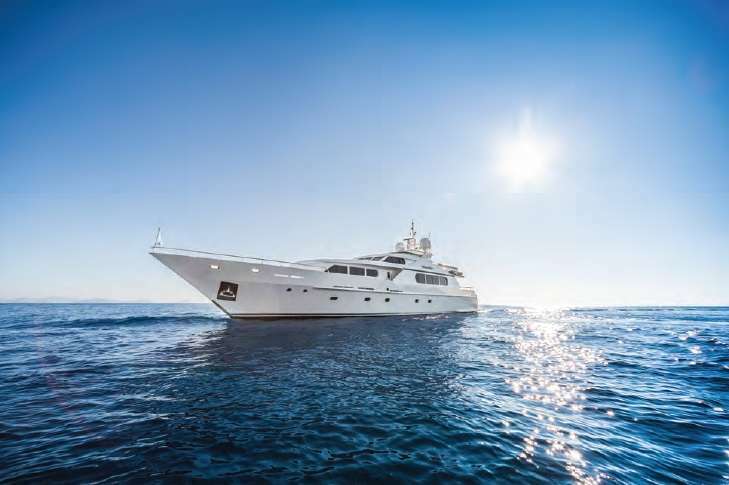 Ask our Charter Experts which route is best for you.